By May of 1876, Custer and his army moved from three directions to locate and destroy hostile Indians in Montana. The Native Americans had other plans. After Brigadier General Crook arrived in Ft Fetterman on March 27, 1876, he was anxious to return to the field and blot out his utter defeat in the Battle of Powder River. Winter would prevent that for another two months. Meanwhile, Brigadier General Terry orchestrated the movements of Colonels John Gibbon and George Custer to locate and destroy hostile Indians in southeastern Montana. If that was not possible, Gibbon and Custer were tasked with preventing the enemy from escaping northward into Canada until Crook could come from the south to reinforce them. In early April, 1876, Gibbon and his 450 men moved from Ft Ellis, Montana to the Yellowstone River and its confluence with Tullock Creek. A camp was established at this location on April 20. Per orders from General Terry, Gibbon was to stay put until additional coordination could occur between him and the columns of Custer and Crook unless an opportunity presented itself to attack an Indian village. On May 9, horses were stolen from his bivouac by Sioux warriors. Gibbon ordered reconnaissance of the area. His chief of scouts, Lt. James H. Bradley notified him of an enormous Indian camp on the Tongue River on May 16. Gibbon marched his men along the Yellowstone and attempted to ford the river and engage the village. High water prevented them from successfully crossing. Had they managed to, Gibbon’s column may have suffered the destruction later experienced by Custer. Meanwhile, Terry and Lieutenant Colonel Custer set off westward from Ft Lincoln, North Dakota on May 17 with 925 men under their command. While fruitlessly searching for Indians along the Little Missouri River, Terry received a communication from Gibbon that vaguely described his confrontations with the Sioux and a rough location of their village. Terry ordered Gibbon to hold the Indians south of the Yellowstone but not force a battle. He then continued west until striking the Powder River. Moving downstream, he met up with Gibbon near its junction on the Yellowstone. Their conversation gave Terry a much clearer picture of just how large his enemy was; their boldness indicated they had every intention to fight rather than flee. To the south, Crook left Ft Fetterman on May 29 with a column of 1,051 men. After traveling through Wyoming, Crook camped on the Tongue River in southern Montana on June 7. His bivouac was involved in a brief skirmish with Sioux and Cheyenne warriors on Jun 9. With only minor casualties, Crook moved his force and established a base camp on Goose Creek on Jun 11 where he met up with his contingent of 262 scouts. His lead scout, Frank Grouard, informed him that Indian forces were concentrated farther north. 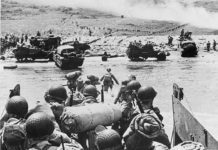 Intending to leave his cumbersome supply train behind, Crook ordered his men to strip down to only a blanket, 100 rounds of ammunition, and 4 days rations. Departing on the morning of June 16, they travelled along the Tongue River most of the day before turning west and camping on Rosebud Creek, the suspected location of the same large enemy camp tracked by Lt Bradley. What Crook did not know was that the Sioux camp had moved 25 miles west near the Little Bighorn River. He also did not know that Terry’s forces were in pursuit of the same enemy village as there had been no recent coordination between the two generals. The Sioux and Cheyenne were aware of Crook’s presence. Rather than flee, they would instead bring the fight to him at the Battle of the Rosebud on June 17. 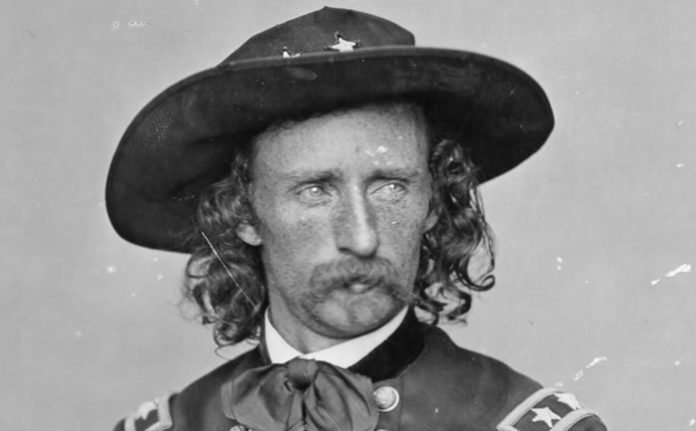 George Custer’s fate would be sealed eight days later within sight of the Little Bighorn.